The aim of this study was to compare the prevalence of lip and tongue piercing complications and explore the effect of ornament time wear period, habits, ornament morphology and periodontal biotype on the development of complications. One hundred and ten subjects with 110 lip and 51 tongue piercings were assessed for abnormal toothwear and/or tooth chipping/cracking (dental defects), gingival recession, clinical attachment loss and probing depth of teeth adjacent to the pierced site. Piercing habits (biting, rolling, stroking, sucking) were recorded. Wear time and habits significantly affected the prevalence of dental defects and gingival recession. 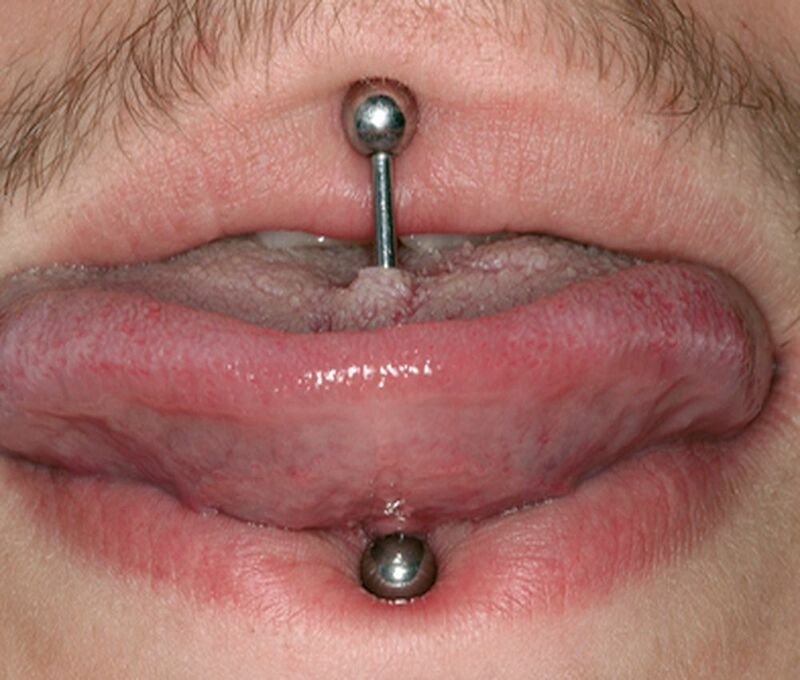 Pierced site significantly affected dental defects prevalence, with greater prevalence for tongue than lip piercing. Wear time significantly affected attachment loss and probing depth. Attachment loss and probing depth did not significantly differ between tongue and lip piercings. Gingival recession was significantly associated with ornament height closure and stem length of tongue ornaments. ► Read also: ORAL MEDICINE : How Do I Manage a Patient with Burning Mouth Syndrome? Periodontal biotype was not significantly associated with gingival recession, attachment loss and probing depth. Dental defects prevalence is greater for tongue than lip piercing. Gingival recession is similar for tongue and lip piercing. Longer wear time of tongue and lip piercing is associated with greater prevalence of dental defects and gingival recession, as well as greater attachment loss and probing depth of teeth adjacent to pierced sites. Ornament morphology affects gingival recession prevalence.